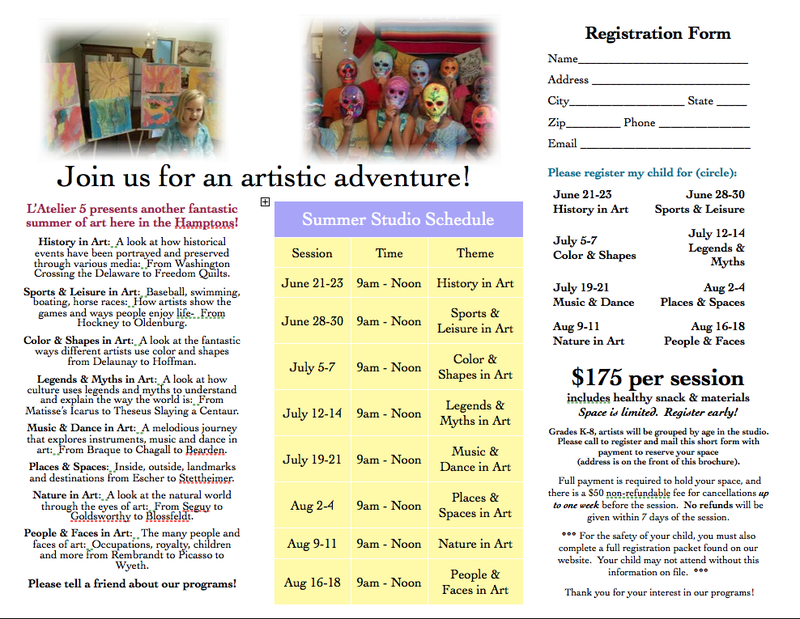 Summer Art Camp in The Hamptons! 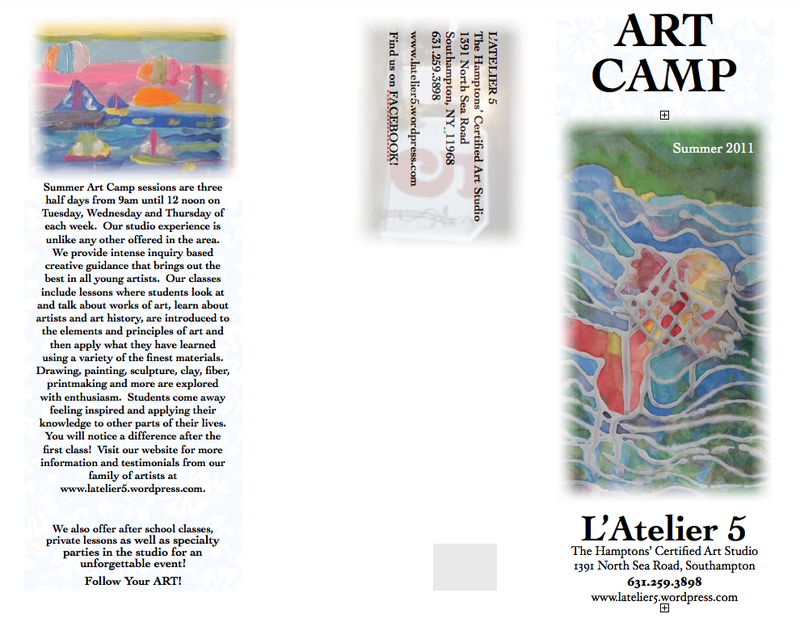 Posted on May 24, 2011 by Southampton Soap Co.
L’Atelier 5 presents another fabulous summer of art here in The HAMPTONS! Summer Art Camp sessions are three half days from 9am until 12 noon on Tuesday, Wednesday and Thursday of each week. Our studio experience is unlike any other offered in the Hamptons. 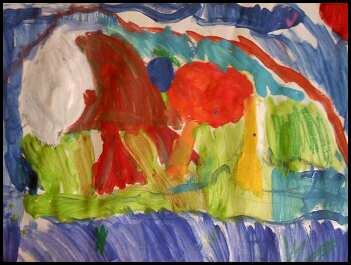 We provide intense inquiry based creative guidance that brings out the best in all young artists. Our classes include lessons where students look at and talk about works of art (Guggenheim’s Learning through Art concepts), learn about artists and art history, are introduced to the elements and principles of art and then apply what they have learned using a variety of the finest materials. Drawing, painting, sculpture, clay, fiber, printmaking and more are explored with enthusiasm. Students come away feeling inspired and applying their knowledge to other parts of their lives. You will notice a difference after the first class! Visit our website for more information and testimonials from our family of artists here. We also offer after school classes, private lessons as well as specialty parties in the studio for an unforgettable birthday or event! Do you know a child who would benefit from our program but is unable to attend because of their current family situation? Limited scholarships may be available. Please contact the studio for more information. We are happy to work with children who have special needs, however, our space is not wheelchair accessible.